Columbus, Ohio (Nov. 19, 2018) – While efforts to combat distracted driving have primarily focused on passing new laws and changing driver behaviors, a new study from The Ohio State University’s Risk Institute reveals the important impact that modifying road design can have on reducing the frequency and severity of distracted driving crashes. Researchers Zhenhua Chen and Youngbin Lym, assistant professor and his PhD student, in city and regional planning at The Ohio State University, found a 35 percent increase in distracted driver fatalities in Ohio and a 23 percent increase in serious injuries for the period 2003-2013. Additionally, distracted driving crashes were more severe in some road environments, such as work zones where they were up to two times more likely to be fatal. This research found that urbanized areas such as Columbus, Cleveland and Cincinnati had much higher risk in vehicle crashes than other regions in Ohio. Even the length of a roadway segment or number of lanes had an impact on the frequency of distracted driving crashes. On the other hand, roundabouts had a significant effect on reducing the severity of distracted driving-related crashes. Other road environments that have a median or a shoulder with an asphalt pavement were also found to have fewer distracted driving crashes. Distracted driving-related crashes account for approximately 18 percent of overall Ohio crash fatalities and 16 percent of Ohio serious injuries. Distracted driving-related crashes are up to 49 percent more severe when they occur on a highway system. The risk of vehicle crashes due to distracted driving is found to be highest in the Columbus area. Distracted driving crashes are 5-10 times more likely to be fatal than severe in a rear end and or angle crash. 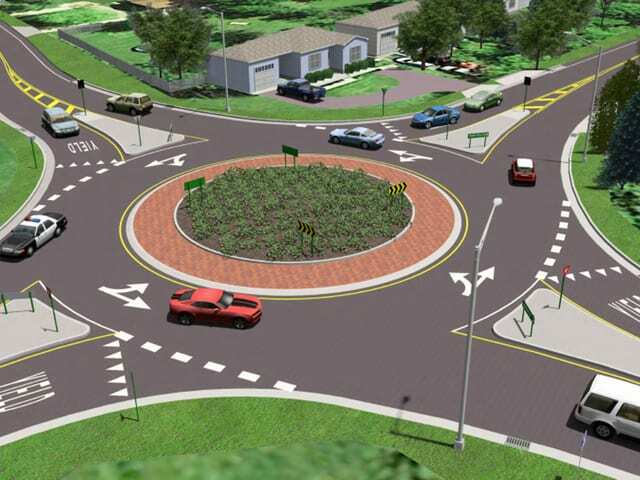 Roundabouts were found to be the single most effective road design in reducing the rate of crashes and crash severity. Overall, within the data (2013-2017) there were no fatal crashes within roundabouts. The increase in distracted driving-related crashes in Ohio has become a major concern to various stakeholders, including insurance companies, transportation planners and policymakers. To help address this problem, which is so costly in terms of lives, medical bills, car repairs and insurance costs, the Property Casualty Insurers Association of America (PCI) funded The Risk Institute’s study and is working to raise awareness about the dangers of distracted driving. The Risk Institute at The Ohio State University Fisher College of Business is a collection of forward-thinking companies and academics that provide effective risk management strategies to not only protect firms, but position firms to create growth and value. The Risk Institute helps members consider risk from all perspectives: legal, operational, strategic, reputational, talent, financial and many more. The Risk Institute operates at a unique intersection between faculty, students and professionals from a broad cross-section of industries. With a leading-edge approach to risk management, The Risk Institute creates a unique exchange for risk-centered conversations, ideas and strategies that can’t happen anywhere else. PCI promotes and protects the viability of a competitive private insurance market for the benefit of consumers and insurers. PCI is composed of approximately 1,000 member companies and 340 insurance groups, representing the broadest cross section of home, auto, and business insurers of any national trade association. PCI members represent all sizes, structures, and regions, which protect families, communities, and businesses in the U.S. and across the globe. PCI members write $245 billion in annual premium, which is 38 percent of the nation’s property casualty insurance marketplace. 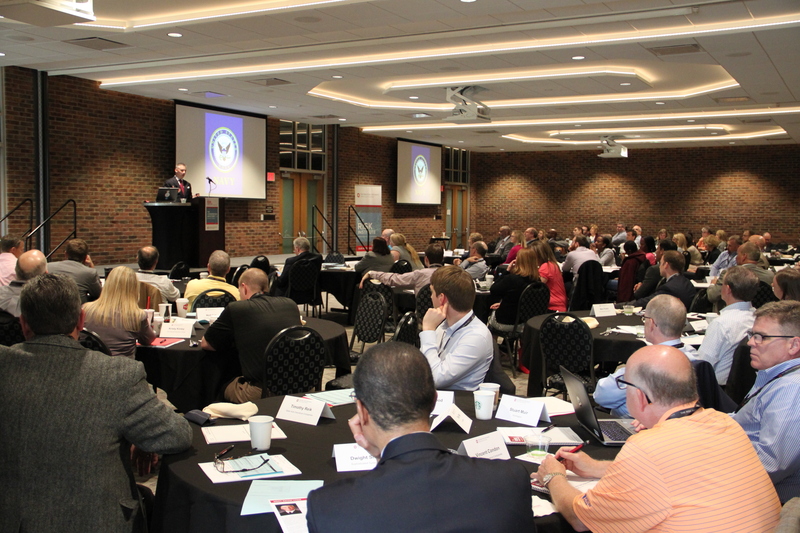 Columbus, Ohio – Today The Risk Institute at The Ohio State University Fisher College of Business, a leading risk-management research organization, reveals its Fourth Annual Survey on Integrated Risk Management. The report surveyed more than 500 financial, nonfinancial, public and private firms to understand how U.S. companies view the role of risk management, the influence of governance and culture and how risk impacts business decisions. 60% of risk managers believe that artificial intelligence will play a role in risk management in the future. 28% of firms surveyed have been victims of a cyber attack – a risk that continues to grow each year. 55% of respondents do not use predictive analytics, and those that do have been using them for less than two years. 44% expect to outsource some or all of their risk function. Risk management policies play an increasingly critical role in a firm’s ability to create value and remain competitive. Both financial firms and nonfinancial firms reported that when they integrate risk management into business processes, they are able to improve corporate objectives. Artificial intelligence, drones, and the internet of Things are some of the most exciting developments happening in the tech world, but with these advancements come new and unforeseen risks for companies, governments and private citizens. 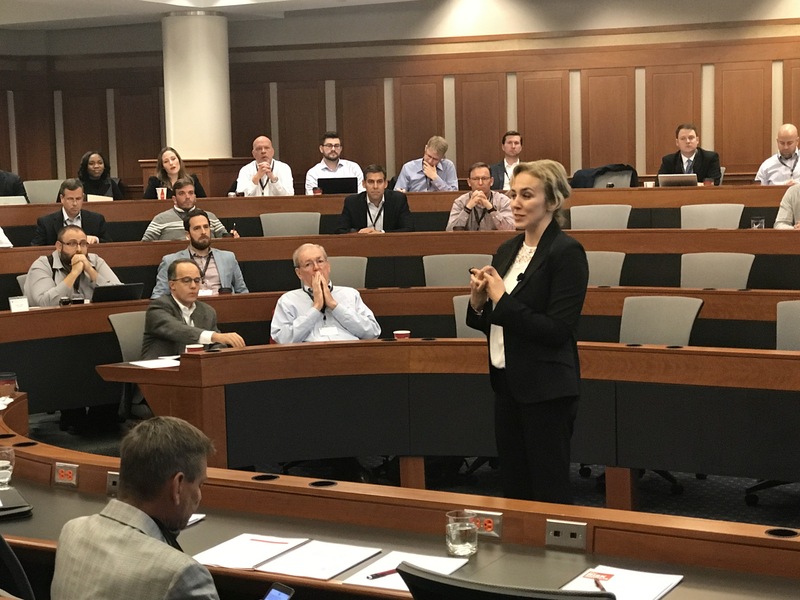 Last week, The Risk Institute hosted a continuing professional development session on the risk implications of smart technologies with experts from DHL, Cisco, EY and The Ohio State University. “Ten years ago, people thought of drones as something used by the military on covert operations. Today, drones are available for a couple bucks and can fit in your pocket,” said Jim Gregory, Director of the Aerospace Research Center at The Ohio State University. Gregory believes that the possibilities of drones are far-reaching, from package delivery to search and rescue, but that in order for the economics to work themselves out, the legality of drones needs to shift because under the current FAA regulations, most of these use cases are still illegal. Many of those risks can be mitigated with “redundancies on redundancies,” which according to Gregory can take the form of robust control links and never allowing one system to become so important that its failure results in catastrophic failure of the entire system. These redundancies are also essential in artificial intelligence. 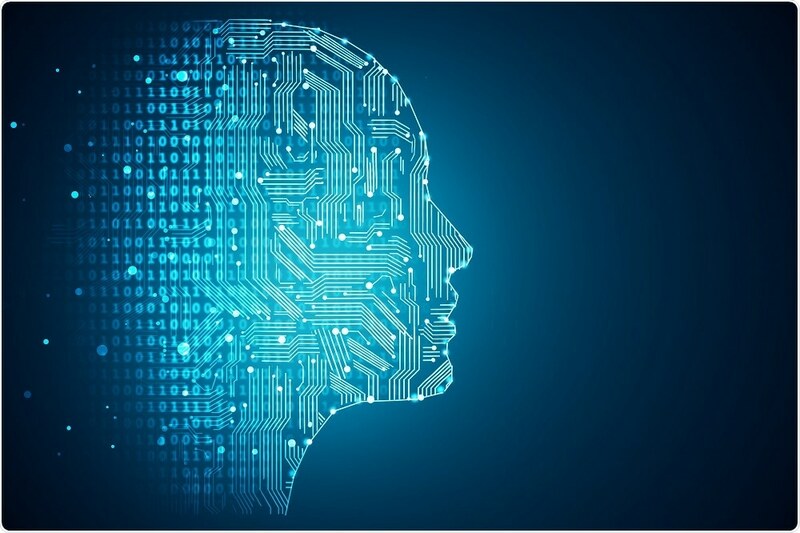 Just as the cotton-gin spurred on the first industrial revolution, many experts believe that artificial intelligence will fundamentally shift the workforce, but are also quick to point out that AI is not necessarily smarter that humans, it’s just different. “The real power of AI is to augment and amplify human intelligence and performance,” said Aiken. And world leaders are taking notice with the competition between countries like China, Russia, Canada and the United States heating up for a global arms-race to dominate AI. Building trust between the user/impacted parties and AI is imperative for the success of the technology and business. Taking a holistic, human-centered approach, focusing on outcomes, and being pragmatic and ethical are common sense steps to take in order to build trust. The Risk Institute remains committed to leading the conversation on risk in partnership with our member organizations. 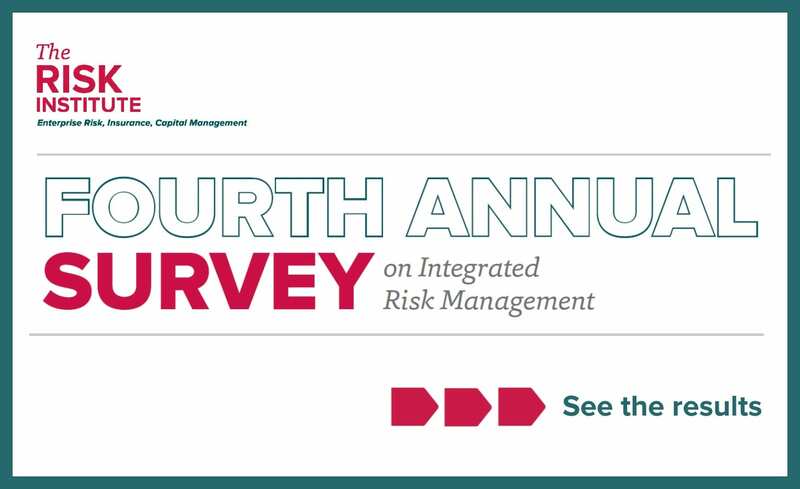 We examined the risk impacts of artificial intelligence in the risk function in our 2018 Survey on Integrated Risk Management. The findings might surprise you. The Risk Institute is excited to announce SCRAM™, a supply chain resilience assessment and management tool, developed by researchers at The Ohio State in collaboration with the U.S. Air force, Dow Chemical, L Brands and a number of other companies. In an age of global turbulence, resilience is a key competency for corporations. How can a company improve the resilience of its supply chain processes, so that it can recover rapidly from unexpected disruptions, assure business continuity and adapt effectively to changing external conditions? SCRAM™ is a facilitated process, supported by a computer-based toolkit, that provides a diagnostic assessment of an organization’s preparedness and fitness for coping with turbulent change. 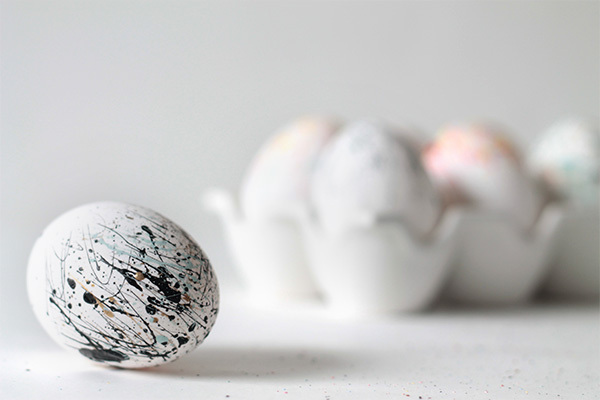 The process identifies resilience gaps and then suggests enhancements that will strengthen the company’s capacity to survive, adapt, and flourish—even when surprises occur. What Can SCRAM™ Do For You? SCRAM™ offers businesses a unique, comprehensive approach to understand the pattern of their potential vulnerabilities and to design a portfolio of supply chain capabilities that will offset those vulnerabilities. For more information about SCRAM™, please contact us at The Risk Institute. Aon, a founding member of The Risk Institute, released their 2017 Global Risk Management Survey today. Conducted in the fourth quarter of 2016, the bi-annual survey gathered input from 1,843 respondents at public and private companies around the world. It finds that trends in economics, demographics and geopolitics, as well as technology advancements, are transforming traditional risks and adding new urgency and complexity to old challenges. Damage to reputation/brand is consistently the top-ranked risk by businesses. Companies have become vulnerable due to the amplified negative impact social media has on cases of defective products, fraudulent business practices, and corruption. Cyber Crime is now the top concern among businesses in North America, jumping from number nine to number five on the top risk list. Cyber breaches are increasing and incident response plans have become more complex, making Cyber Crime a costly business interruption. Political risk/uncertainties have recently re-entered the top 10 risk list at number nine. The survey finds that developed nations that were traditionally associated with political stability are becoming new sources of volatility and uncertainty. Additionally, according to Aon’s latest 2017 Risk Maps, trade protectionism is on the rise while terrorism and political violence ratings are the highest they have been since 2013. Disruptive technologies/innovation is a concerning risk emerging for the future. It is currently ranked number twenty but is expected to jump to the top ten within a few years. New technologies such as drones, driverless cars, and advanced robotics have caused an increased awareness of impacts for businesses. The full report can be accessed at www.aon.com/2017GlobalRisk.